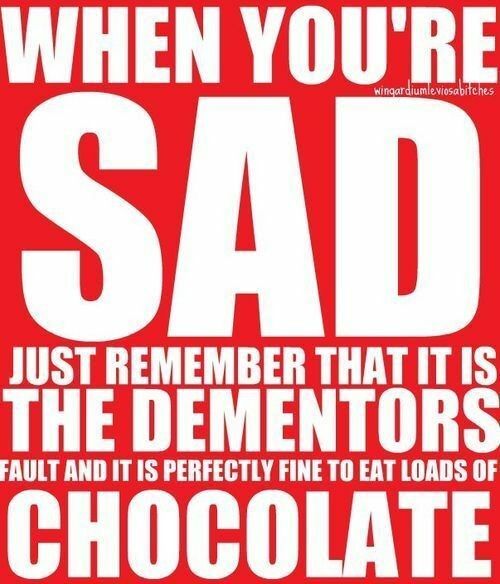 If you're a Harry Potter fan, this will make you laugh...and eat loads of chocolate. Image found here. If a person has a brief encounter with such a creature, chocolate proves to be a good antidote. Raj: But of course. 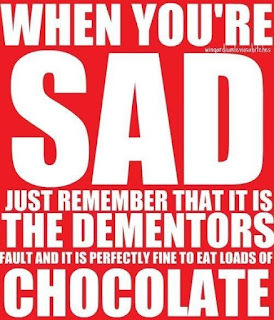 But chocolate helps with a short exposure to those creatures. Haha I need to look at this next time I am feeling all stressed out, and go buy some M&Ms.